Following on from the success of CoPilot Live on the Android platform, and the phenomenal success of CoPilot for iPhone ALK have today launched the Windows Mobile version of CoPilot V8. As with it's predecessors it features voice guided turn by turn navigation with a clear clutter-free display and easy to use interface. One of CoPilot's strengths is that it is able to leverage the underlying core operating system components and has access to the address book both for destination and sending location information. 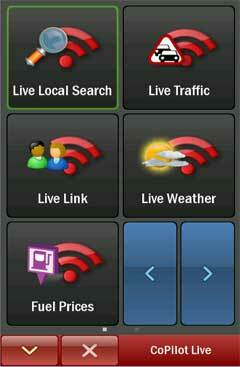 Priced from �25.99 (UK) or �59.99 (Europe) the application is available to download now from www.copilotlive.com or directly on your Android Device from the Android Market. 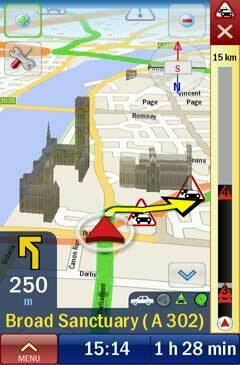 London, UK, 11th August 2009 � ALK Technologies Ltd, a global leader in mobile navigation software, today launched CoPilot� Live� v8 GPS navigation for smartphones. Packed with cutting-edge new features, it�s the most powerful CoPilot yet, making turn-by-turn voice-guided satellite navigation technology more accessible, portable and affordable for owners of Windows Mobile and Android-based phones. 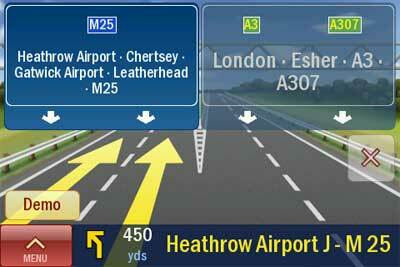 It is also available in UK for iPhone 3G and 3Gs users. CoPilot� Live� v8 takes full advantage of today�s GPS-enabled touch screen phones to deliver the same level of performance as a standalone navigation system. With intuitive and fluid menus, advanced guidance features and an array of useful Live information services, it makes finding the way easier on every journey, whether in-car or on-foot. 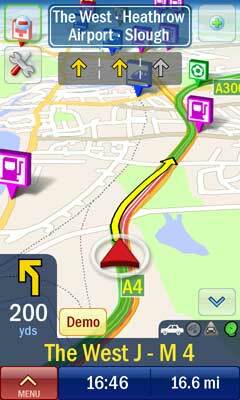 CoPilot Live v8 includes the most accurate maps and Points of Interest available from the world�s leading map suppliers. Maps are stored locally on the phone, not downloaded each trip, removing reliance on mobile internet connectivity for navigation. 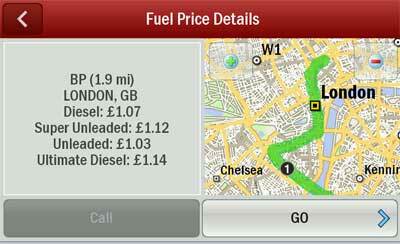 A new service in v8 - CoPilot OnDemand�- enables customers to buy extra maps online and download them directly to their phones via mobile internet or WiFi. 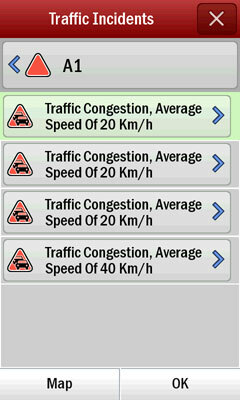 CoPilot Live v8 is compatible with Windows Mobile and Android-based smartphones, as well as iPhone 3G and 3Gs. It is available immediately for purchase and download from just �25.99 for unlimited use from copilotlive.com and the Android Market. 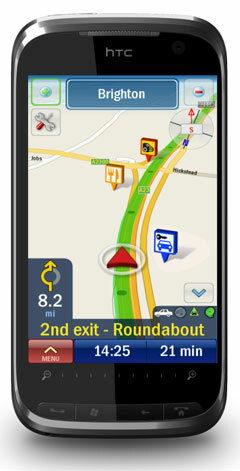 UK customers can purchase CoPilot Live v8 from the iPhone App Store, with support for additional countries coming soon. 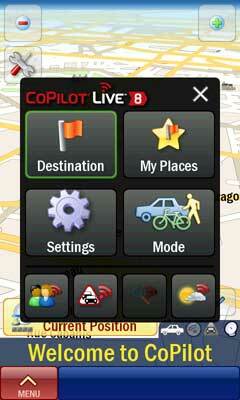 CoPilot Live v8 will also shortly be available to purchase on SD card or DVD installer from leading online retailers. *Premium features, including Live Traffic, Fuel Prices, 3D Landmarks, Text to Speech and CoPilot Command will be available to purchase as upgrades through CoPilot Live Central 2.0 desktop software or CoPilot e-store. Here's the thing... I liked the maps on the v7 trial, I liked the TTS as well. I detested the manner it handled custom Safety Camera databases (such as the PGPSW one here, ) - resulting in multiple announcements of the same damn camera - sometimes as much as seven times for one local camera to me in almost as many seconds - and I didn't like that you cannot use custom POI databases with your own icons either. Have they addressed ANY of that in v8? If they've addressed, at the minimum, the safety camera issue, I'll be buying, if not, I won't be! I enjoyed the trial as well with my Touch Diamond2 and glad i held off for the new version. OK, how does that work - is it simple, convoluted, or somewhere in-between, and does the User Manual detail the process? OK so I was thoroughly annoyed with CPL7, the random crashes, the constant errors, etc. I tried TomTom7 - wasn't much better than CPL7 in my opinion (in fact I think in certain areas it was worse although the big plus was that it didn't crash randomly and repeatedly). So I'm trying CPL8 in desperation. The CoPilot 2 desktop app works fine on Server 2008 R2 x64 without messing about - a significant change from the previous dire cpl desktop app. To import POIs, image files need to be in PNG format (ok in itself except all the POIs I have are BMPs so a little bit of work required). When uploading POI (OV2 seem to be ok incidentally even if you have to manually select the OV2 type in the CPL app for every POI file) they seem to be copied to pocket pc device into copilot/save folder. I haven't tried updating a POI file yet (not that courageous!). I've added a few (speed cams) and they don't show up as installed on my device in the CPL desktop app, although they are there on the device. Can't see any premium services to purchase in the CPL store either. OK maybe a simple question but how do you get CPv8 to show a QWERTY keyboard? Memory Map V5 on laptop and GPS. ok, thanks, homecamp - sounds like they're slowly getting there, but it's not the seamless integration that they were hinting at a year back just yet. Think I'll hold off on ALK again. Just spoke to ALK Support, you can't use CPL7 Traffic subscription with CPL8, need to wait for Traffic to be available on CoPilot Central, then purchase - not very happy. I've had issues with the activation code on 8. Got that sorted manually. Then had problems with CoPilot Central not showing the maps I'd bought. Flipped the currency to GBP, restarted and it recognised my UK & Ireland map licence. Even let me download it. My remaining problem before I get them to refund me is getting the maps onto my WinMo device. There's no option to download the maps to the storage card and they're too big for the onboard RAM. The app installed to the storage card, but there's no way to get the maps on there (option greyed out in Central as there's no space and downloading on device just errors). Any ideas? I didn't install to the device via central rather using the url http://www.alk.eu.com/buynow/eu_download.asp to manually download the app and map. Confirmed: It is no longer available..! I HATE not having that option! What the *#&@! were they thinking!